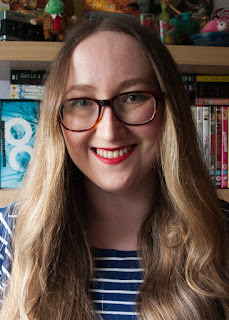 Anastasia Gammon: Christmas spice biscuits. 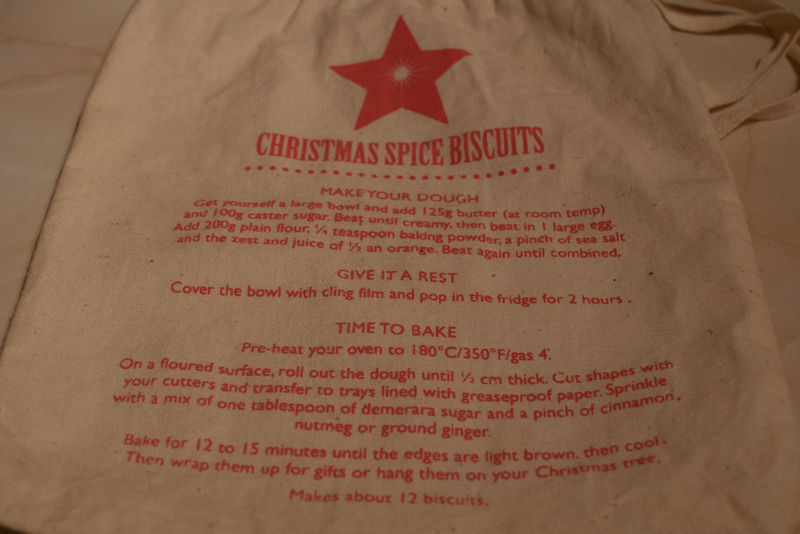 Years and years ago mum bought me these Jamie Oliver Christmas biscuit cutters, which came in a bag with a recipe for Christmas spice biscuits. 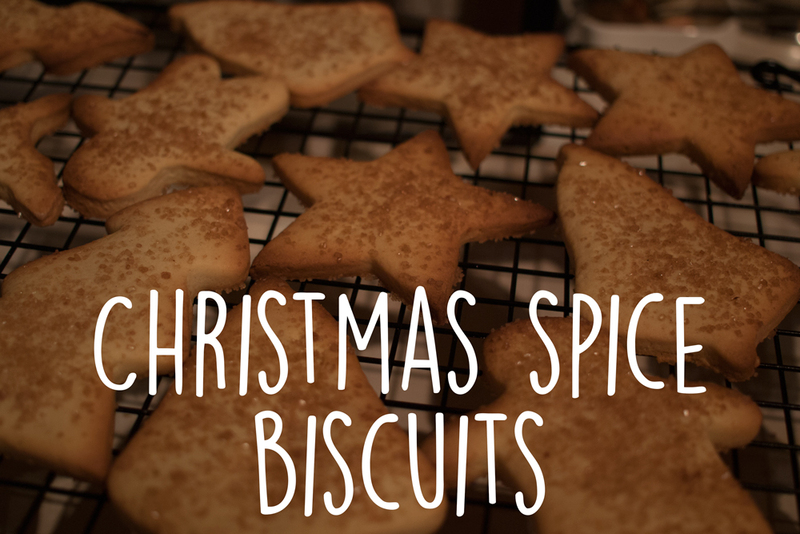 I've made these biscuits quite a few times since then and it goes wrong in exactly the same way every single time. Jamie Oliver and I are in a fight about it. He doesn't know it, but we are. Now, back to how they go wrong every single time. It's the flour. The recipe calls for 200g of plain flour but I always find that the dough is just too sticky to roll, even after having been in the fridge for two hours. Maybe I'm adding too much orange juice, I don't know, but I always end up adding more flour to the dough until it starts to look like a dough that can actually be rolled. This usually works out for the best anyway because I always end up with more than 12 biscuits. I'd just be careful of that if you try making these yourself. Cream the butter and caster sugar together in a bowl, then beat in the egg. Add flour, sea salt, baking powder, sea salt, and orange zest and juice, and beat until everything is combined. If your dough looks particularly sticky, add more flour a little at a time until it looks more like a good rollable biscuit dough. Cover the bowl with cling film and leave it to cool in the fridge for two hours. When the dough is chilled, pre-heat your oven to 180c or 160c for a fan oven and grease and line 2 or 3 baking trays. On a floured surface, roll out the dough to 1/2 cm thick. Cut shapes and transfer to lined baking trays. 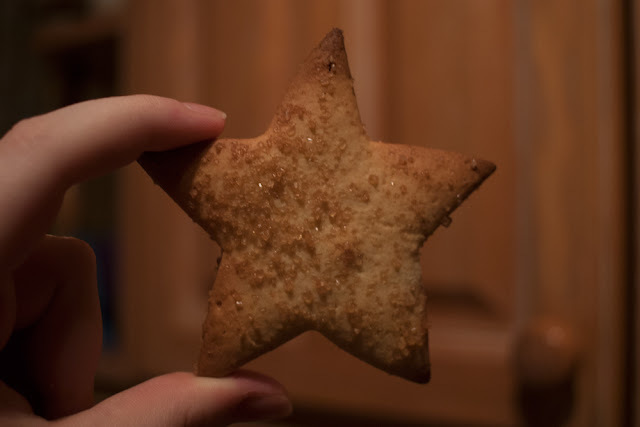 Mix demerara sugar and cinnamon together in a small bowl and then sprinkle over the biscuits. Bake for 12-15 minutes, until the edges are light brown. Once cooked, leave the biscuits to cool on the trays for a few minutes before moving them to a wire rack to cool completely.